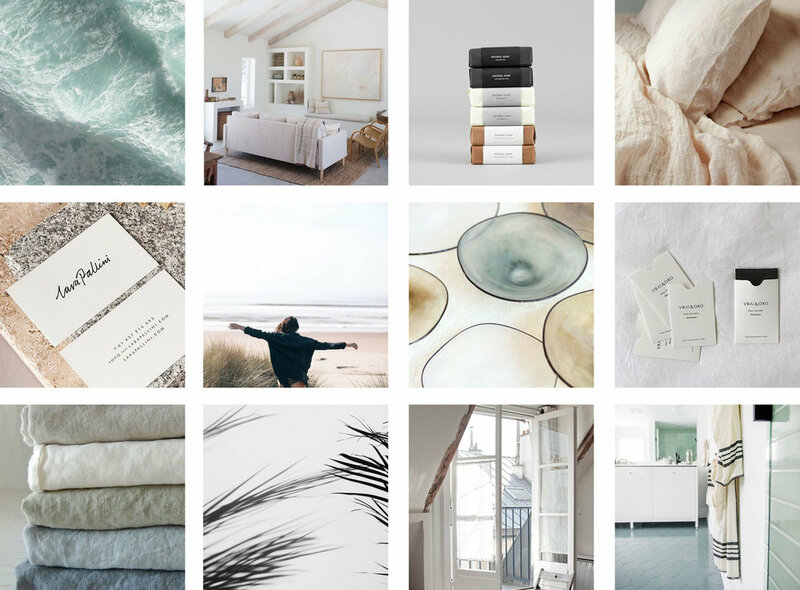 New Launch: Sol y Mar Interiors Brand & Showit Web Design — Reux Design Co. These posts truly are so much fun for me to put together! Not only do I get to share my clients and designs with you, but I hope these can also serve as inspiration for your own businesses! And as an added bonus, I hope these launch posts can serve to give you a better look at the ins and outs of working with a professional graphic designer, and how a holistic strategy-based brand design can transform your business. Over the past 3 years, I’ve been so honored to design holistic brands for a variety of creatives — musicians, jewelers, small shop owners, interior designers & more. It’s such a joy to bring their unique businesses to live through a cohesive brand identity. With all of that being said, let’s jump in! Today I’m sharing a new brand design for Sol y Mar Interiors, a Florida based Interior Decorator for people who want a more joy-filled home! Sol y Mar Interiors is a new business for Alina (the founder) though she’s been transforming spaces for years as a hobby! She came to me ready to pursue her dream and make this her full time job! With every project, I start the design process with a detailed questionnaire for my client. This lets us collaboratively get into the nitty gritty of their business. Breaking down everything from the ideal client to the long-term goals. Basically, the who, what & why of the business. It's important to clarify those things before designing, so that the brand I create is best aligned with the business on a deep, holistic level. Alina wanted to focus in and create this dream interior decorating business to bring more joy not only to herself, but help others feel more joy as well. Our goal was to intentionally craft a new brand that reflected this. Her business is new — but there’s a lot of heart and meaning behind it. So as we went through the design process, we needed to build a brand that not only attracted her ideal clients, but showcased this heart. Alina’s passion for the projects, for sharing her talents and for giving clients a tangible representation of happiness through interior decoration. Here is the moodboard I put together to guide the designs. Once we nailed down a direction & tentative color palette it was time to move into designing! When designing the logo + branding, I kept in mind the style of the venue and the overall feeling of being modern, yet warm and honest, with a nod to french industrial style. I started by customizing a hand lettered font to create something clean and distinct. I kept the loops and letters more modern and thin, as opposed to bubbly — this gives it a more upscale feel and avoids the young / bright calligraphy style. The taglines are set in a modern sans serif that contrasts the handwriting and grounds the logo. + An emphasis on nature inspired colors and texture. Alina pulls so much inspiration from her surroundings, and her client’s love that vibe as well. + The simple lines and colors throughout the design, which allow Alina’s work to take the stage, showing potential clients what she can do for their homes. And of course I always design a few variations of the logo which can be used in different situations. Translating the design through collateral pieces was a dream. As I always say, a brand design is more than a logo. It’s the full experience, and that is especially true when I’m able to translate the branding into a variety of digital & printed goods. It creates a cohesive story and ensures that every touchpoint for the clients is aligned with the brand goals. I designed quite a few things including: stationery and thank you cards, business cards, stamps, stickers, tissue paper & more. Finally, I moved onto designing a custom ShowIt website! This was the most fun part of the project! As an entrepreneur, your website is your home online. A place to attract your ideal clients and guide them seamlessly through your content, towards booking. My goal was to make sure that the Sol y Mar Interiors website helped Alina meet her new business + revenue goals in a beautiful, yet strategic way. Head over to Alina’s website today to see the full design in action! And while you’re there, give her a big congratulations on launching! View a curated collection of previous design work here in my portfolio, and of course, please get in touch if you’d like to pursue an impactful, holistic Brand Design Experience!